What Do Sea Urchins Eat? Sea urchins are primarily herbivore. Their most proffered food item is algae. Some species love to eat kelp and other marine vegetation. There are also omnivores among them. Sea urchins look cool. There appearance is like some beautiful ball shaped cactus. They really look like some plant species among the algae or in the kelp forest. But it is their grazing ground. Learn how they eat their food. Sea urchins use a special apparatus named Aristotle's lantern for feeding. The lantern has a set of five jaws made of calcium carbonate. There is also a tongue like structure. The apparatus used to scrap algae from stones under the sea. Look at this video of sea urchin feeding inside a salt water aquarium. It is a timelapse video. Kelp is a type of large algae. Kelp forests are often full with thousands of sea urchins. Look at this video part taken from the Planet Earth series of BBC to learn more about it. Purple Sea Urchin or Strongylocentrotus purpuratus is a regular kelp grazer. It's favorite kelp spices is Macrocystis pyrifera. These urchins are very important in kelp ecosystems as the major primary feeders. Some sea urchins are scavengers. They feed on dead sea animals. It is observed that they can even eat dead fishes. Remains of other smaller sea creatures, dead kelp and algae is among their food items too. 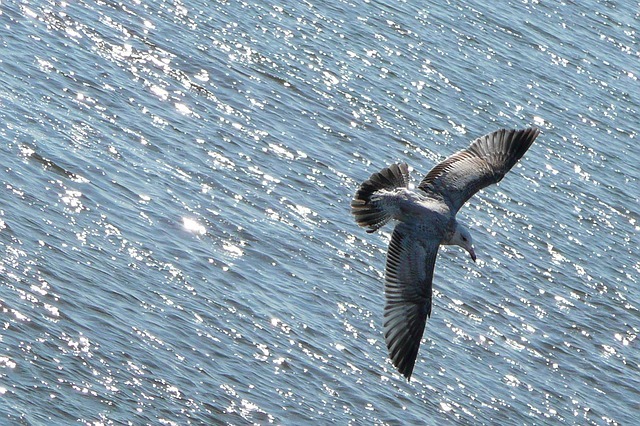 Look at this wonderful video by Monterey Bay Aquarium. It shows how a sea urchin eats a sea weed. Sea urchins are voracious eaters. They are always hungry. Their primitive digestive system has pretty bad efficient. So, they need to eat more to get sufficient energy. In the process, they often do not spare small creatures that lives on kelp and algae. They also consume them. 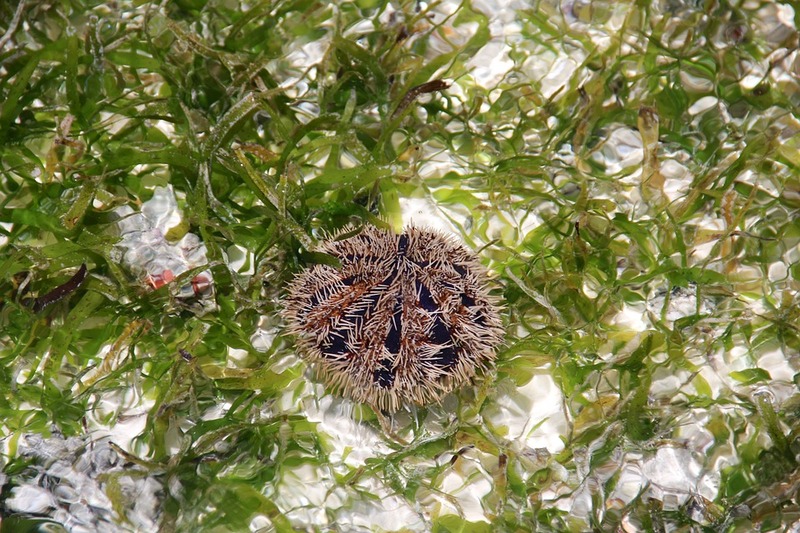 A group of sea urchin belonged to the order Cidaroida are active predators. 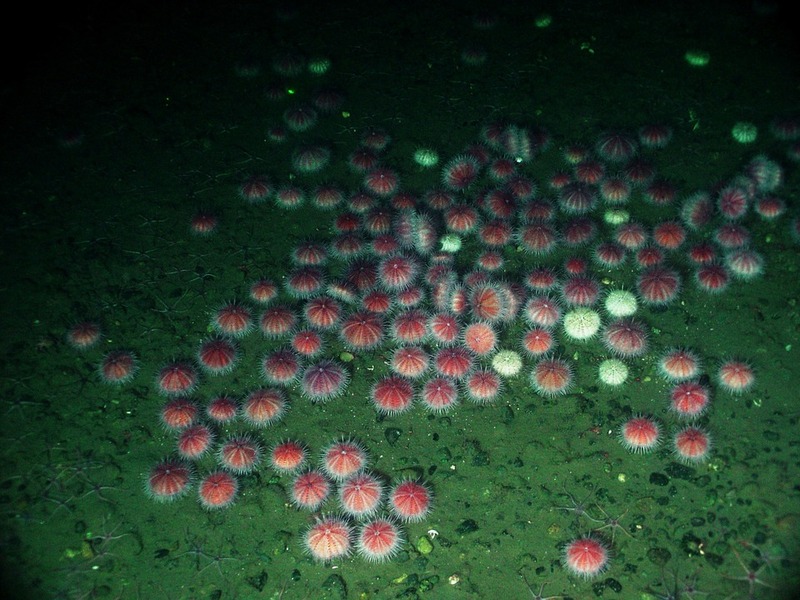 They are actively hunt and eat slow moving sea animals like crinoids. The above photo shows you a slate pencil urchin - look how dangerous it looks. The photo of the slate pencil urchin or Eucidaris tribuloides is taken by Nhobgood. 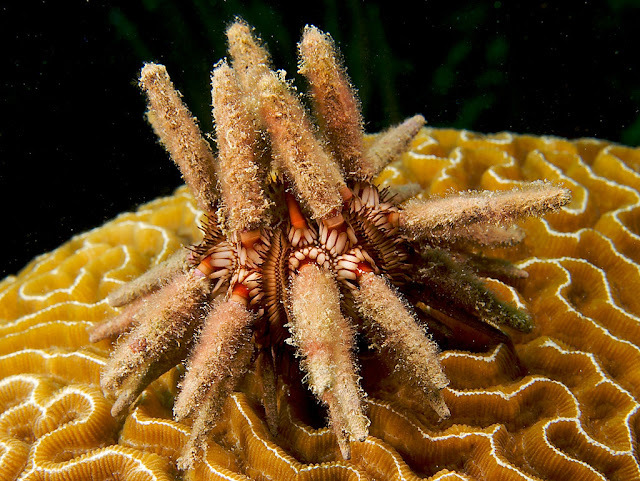 Here is a small video clips to show you how a urchin is eating a feather star, a crinoid. 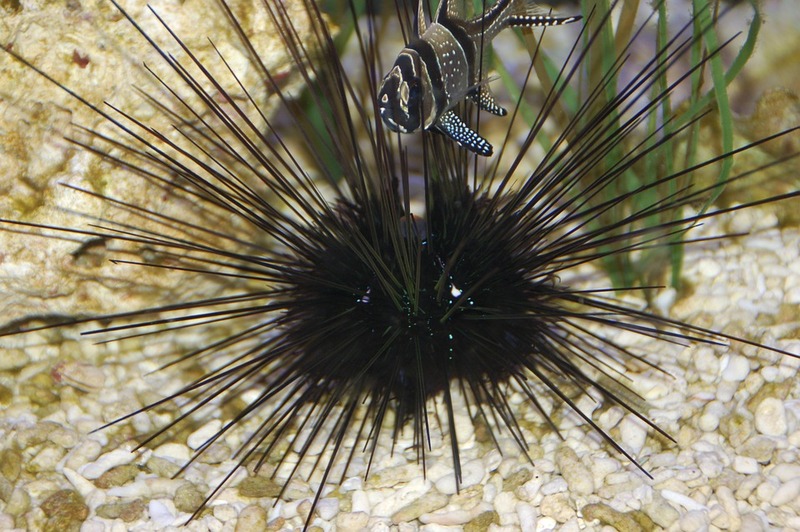 Sea urchins are popular among saltwater enthusiasts due to their colorful and cactus like spiny ball shapes. As you have read earlier (probably) that sea urchins are voracious eaters, they eat constantly. They will feed on algae of your reef tank. It will keep the algae growth in check. These creatures do not need to feed externally, They are self sufficient. But one needs sufficient algae population to keep them contented. Otherwise, they could eat other beautiful algae like the corraline. Sea urchins also have the habit of knocking down or replacing anything strongly rooted. If you have an expensive liverock then it would be better to keep it away from these critters. They will make it clean very soon. You can feed them with nori if you like to.